You know at your core that you need these babies in your life. 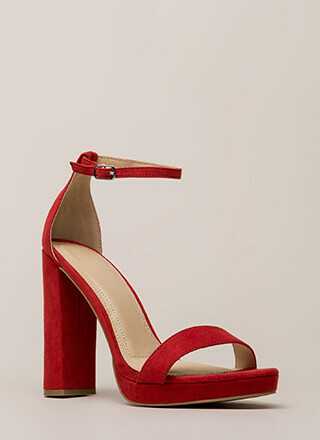 Open-toe vegan suede platforms feature a super tall stiletto heel, a plain toe strap, and several cord-like skinny straps making up an ankle cuff, which is finished with an adjustable buckle. Shoes also include exposed sides and a ridged sole.